Some things in life just are, and everyone knows it. That is Lake Havasu, the playground of our great state of Arizona. Whether you want to boat, sail, hike, bike, shop, golf, endurance race, motocross, fish, sunbath, bingo, bunco, attend a concert lakeside or watch sunsets over the mountains and party later, Lake Havasu has it all and more. We are uniquely located on the mighty Colorado River, on the border between Arizona and our neighbor California to the west. We like to say that Lake Havasu is where flow meets going. We are not a side line kinda town. We are an active community, ranging from spring breakers to families coming for the weekend to people who have chosen to live in our beautiful community. With over 400 miles of shoreline, 300 days of sunshine, and 60 miles of navigable waterways, we are sure you can find something to make you smile in our great city. 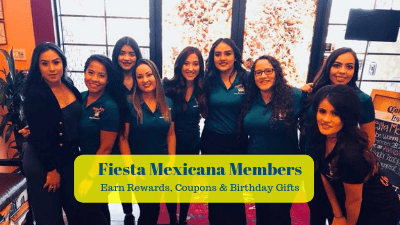 Nourished by a great Havasu Mexican restaurant like Fiesta Mexicana, you can enjoy our festivals that celebrate all things desert, ranging from classic cars, cross country racing, art. fireworks shows and two balloon festivals a year. Something going on nearly every weekend in Havasu. There is a reason Play Like You Mean It is the Lake Havasu motto. We mean it. That includes great food to fuel the play, and what better than fantastic authentic Mexican food in a fun, colorful atmosphere with outstanding service. We would love to be your regular fueling station when you are ready to relax after a hard day at the beach or on the water in Lake Havasu. 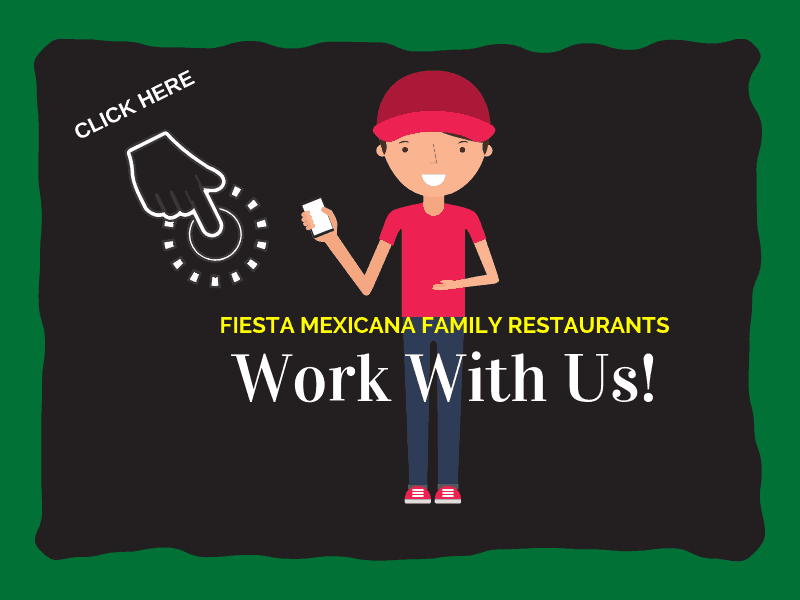 Fiesta Mexicana is a full service, traditional, fresh ingredient Mexican restaurant steeped in the traditions of home cooking from our native Jalisco, Mexico. All of our sauces are made from scratch. Our hand made corn tortillas are legendary. And our margaritas, well, you just have to come in and see for yourself. There is a reason our signature drink is called a Cadillac. 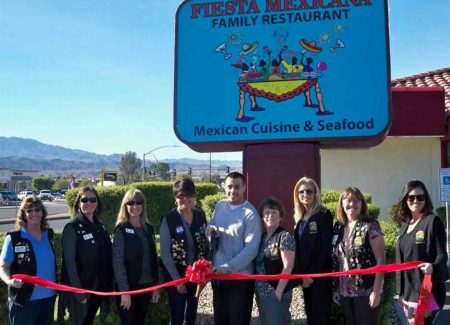 Nothing is more Lake Havasu and Arizona than top of the line truly traditional Mexican food, and none is better than Fiesta Mexicana. Awarded the Certificate of Excellence 2018 for some of the best Mexican food in Lake Havasu by Travel Advisor, we pride ourselves in service, quality food, and a lively but tasteful atmosphere for your dining and relation desires. Only two blocks east of the famous London Bridge, moved from London, England and dedicated in 1971, we are easy to find just off McCullough Blvd. N. one block northeast of 95. Since we are near the water, our parking area has easy to navigate truly accessible parking spaces for your rig and boat trailer, something rare at a restaurant in a town dominated by water culture. We can feed you here or have a take out order ready to go for your hungry outdoor appetite after a hard day of playing on our beautiful lake. 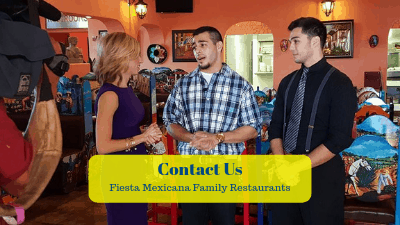 As one of the top restaurants in Lake Havasu, Fiesta Mexicana is capable of making your day, or dream, come true. We cater, deliver, and have take out. Lake side weddings are popular here thanks to the tranquility of our lake and the gorgeous rugged mountain backdrop. Need a place for your bridal party dinner? We can handle that. Need your wedding reception catered lakeside? No problem. Want a take out finger food dinner you can enjoy as you take in a terrific purple mountain majesty sunset over the lake? Happy to fix it for you and have you there in plenty of time for a front row seat. Like our beautifully decorated, colorful and lively Mexican interior, our home town is a bit unique. Where else would you have a whole community turn out to try and break every single year the previous world record for how many dancers you can get line dancing on London Bridge all at once? Only in Lake Havasu. There are a few things you will notice as soon as you arrive at our fun, friendly eatery. First, we are traditional Mexican. (Yes we speak English well.) You will be greeted and seated promptly. Coming on short notice on a busy something’s going on in town night? Call ahead, our hostess will place you on the wait list and let you know when to arrive so you have the shortest wait time possible. Chips and salsa flow freely to your table. Want your salsa caliente? No problemo. We will give you napkins when you need them. One of the delights in having the home cooked, generations long experience reflected in our sizeable, varied menu is we offer an extensive amount of seafood for a desert location. Since Jalisco is a seaside state in Mexico, we offer the freshest, best tasting dishes you have ever encountered in a fine Mexican restaurant. Our moles are famous. So are our specialty dishes from our region like molcahete, a mix of multiple meats and vegetables smothered in cheese and salsa and served piping hot in a lava volcano bowl. You need to be hungry, though, as it can easily serve 3 or more. 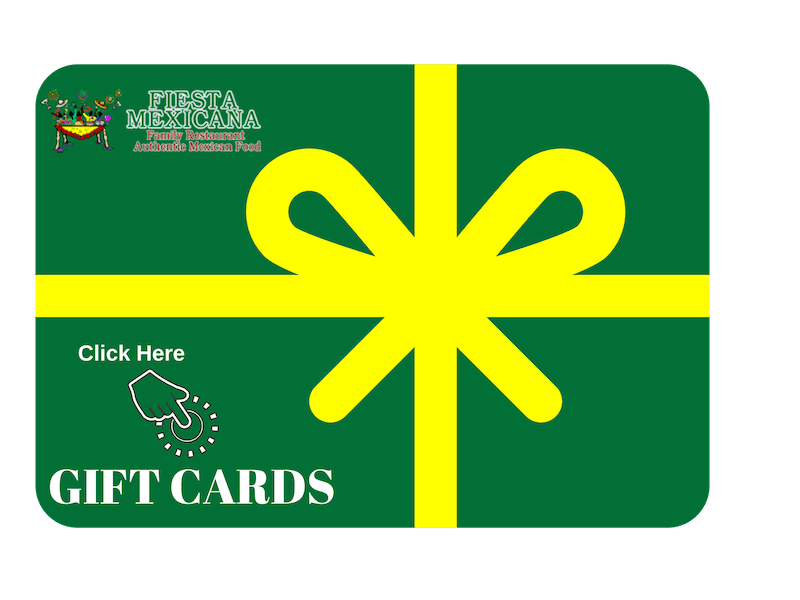 What made Fiesta Mexicana famous early on was our margaritas. Considered some of the finest in the southwest, we are known for our specials and custom blends, all made fresh on sight. Try a Chamango or Cadillac, or even a Manonada, all served with an extra shot of top line tequila on the side for spice. You will not regret it, but please, know that our margaritas are known for sneaking up on you. Not all Mexican restaurants are created equal. One thing we pride ourselves on, a lot, is our amazing and outstanding service. We want every amigo in our hacienda to be waited on and treated like familia. Our guacamole is made fresh tableside. People drive for miles just to get our rice and beans with our special, back home secret seasonings. Our steak is fork tender. Both our food and our location were created to make it feel comfortable, fun, and enticing. Our ambience is bueno. Kind of like Mama’s kitchen, but you don’t have to wash dishes. Happy hour is common in a town where restaurants in Lake Havasu are many. 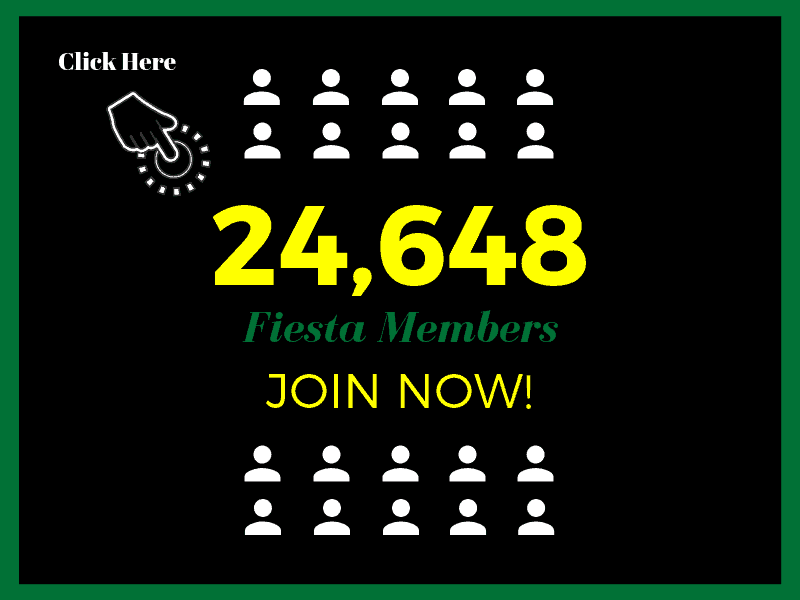 We do not believe in common at Fiesta Mexicana. We believe in legendary, and our Happy Hour specials are just that. We have the best happy hour in Lake Havasu with low priced margaritas and beer, a taco bar where everything is hand made, fresh, and all you can eat from 2-7 every day. Sometimes we decide to start early, too, so check social media to see what craziness we have going today. Speaking of craziness, sometimes we get a little loco during festival time. Check us out for extended hours until 2 a.m. 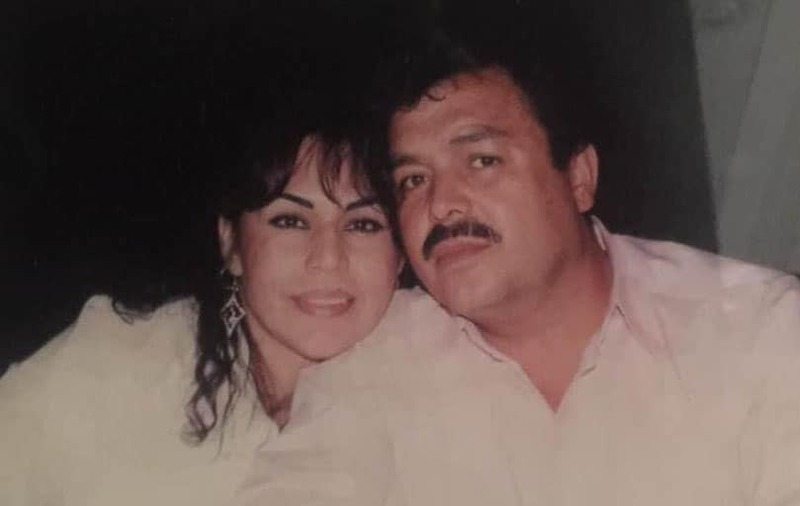 Some times we even talk the chef into making street asada tacos for cheap, just so we can have a good excuse to eat and drink at the best Mexican restaurant in Lake Havasu. Besides our lunch specials, we have specials or special entrees most nights. Just ask your friendly and knowledgeable server. No beans? No problem. Vegan, vegetarian, gluten or lactose free? Easy. Need your fajita vegetables steamed? Consider it done. There is a reason our service is considered great, because it is. We support local veterans organizations, schools, and non-profits like Women With Willpower. Need a fundraiser? Come chat with our manager to make arrangements. We are locals and we proudly support our neighbors. Veteran? Show us your ID and you eat free here on Veteran’s Day. And thank you for your service, really. We get it. We served, too. Spring break is a big thing at Lake Havasu. We have never met college students who do not love great Mexican food, let alone huge portions at good prices. As the biggest location for Spring Break in the West, we welcome students in for our taco buffet and happy hours. Please remember the legal drinking age in Arizona is 21, so yes, we will ask to see your ID. Thanks for understanding. Like we said, we do catering, and we do it well. Our extensive menu offers something for everyone, and most of it is available catered for your event. We cater the entire Lake Havasu region, so at your next family or class reunion, wedding, or business event, give us a call. We can create a menu just for you, or you can choose from our readily available catering menu on short notice. 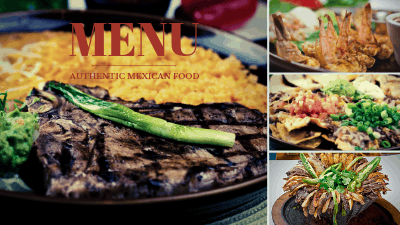 Next time you come to play, or are out on the town, or simply want some real, authentic Mexican food and an authentic Mexican dining experience, come visit us. We have seriously good food and amazing service. What are you waiting for? As one of our regulars puts it, “Stop looking and start driving to Mexican heaven on earth!” We will have a table waiting for you.